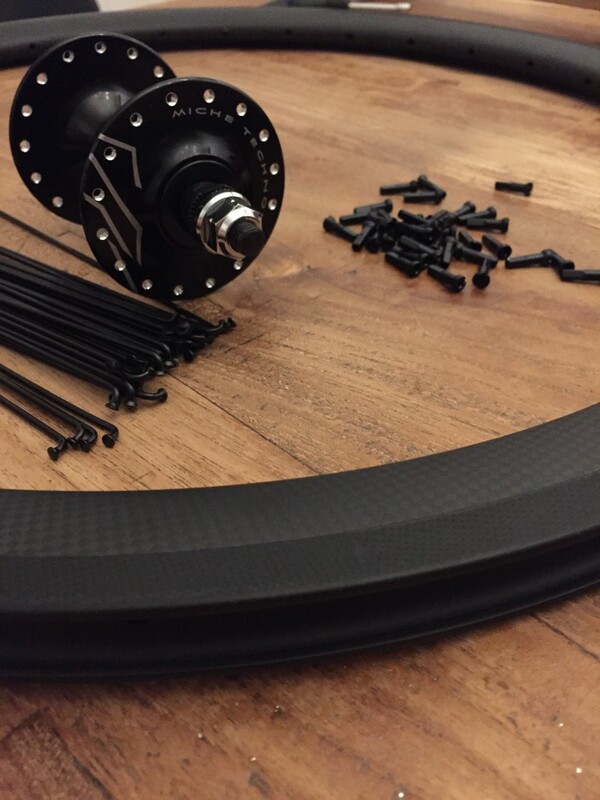 These days nobody manufactures carbon rims 24 inch tubular. Logical because there is no need for these type of rims, except a few crazy stayer fanatics like me. 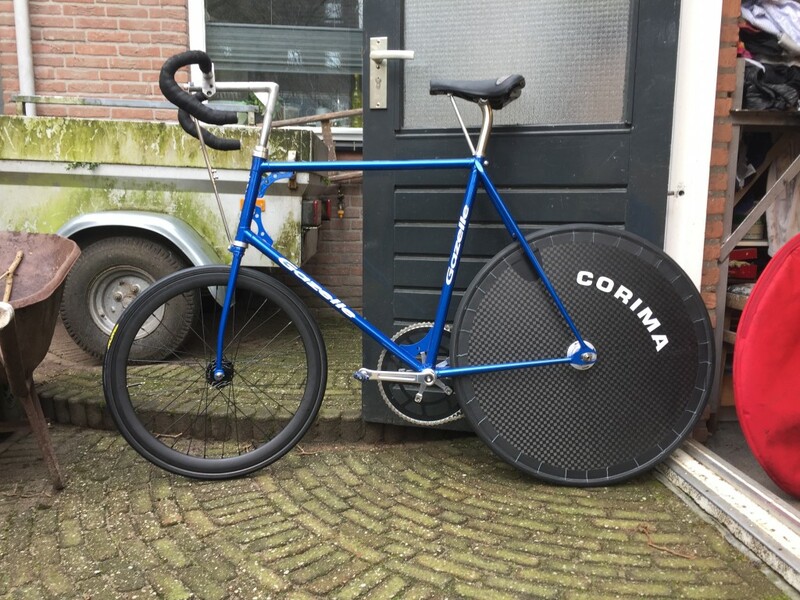 Most stayer rides use 32 holes aluminum rims form the 1980, but these are not so fast. 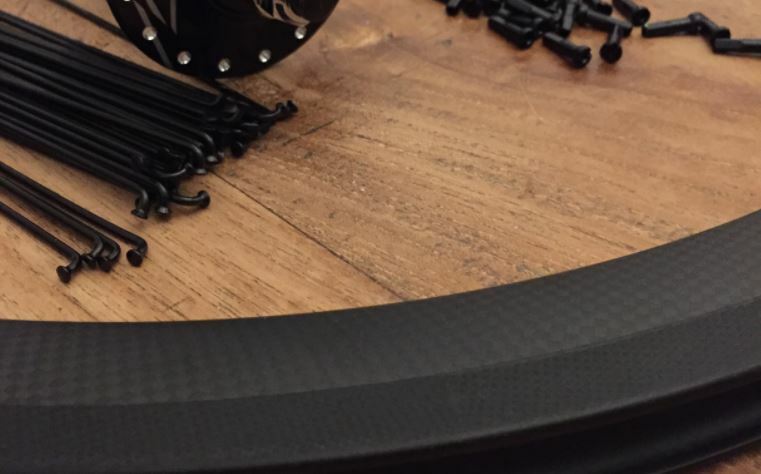 There are 24 inch carbon tubular rims build, but nobody sells these because they are very rare. 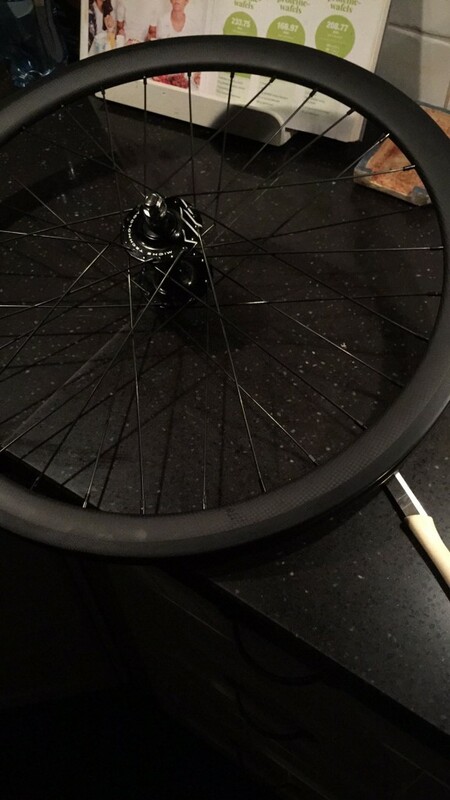 But it is possible to buy new 24 inch carbon rims clincher for BMX. Here is a link. The only challenge is to convert the clinger rim to a tubular rim. I ordered one rim, spokes and a modern track front hub and build the wheel. I used 32 spokes with a 3 cross lacing pattern because then the rim will be very stiff. The complete wheel, still clincher. 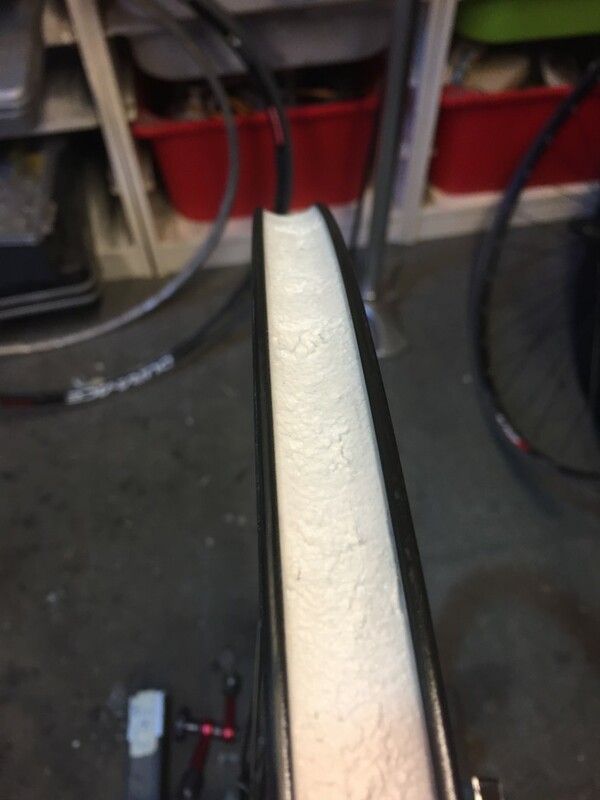 The picture below shows a clincher and a tubular rim next to each other, you can see that the outer diameter of both rims are equal. The clincher rim has more room in the bed compared with the tubular. This means that filling the clincher rim bed somehow will convert it to a tubular rim bed. After some reading on the web I decided I will use an epoxy resin with micro balloons filler. 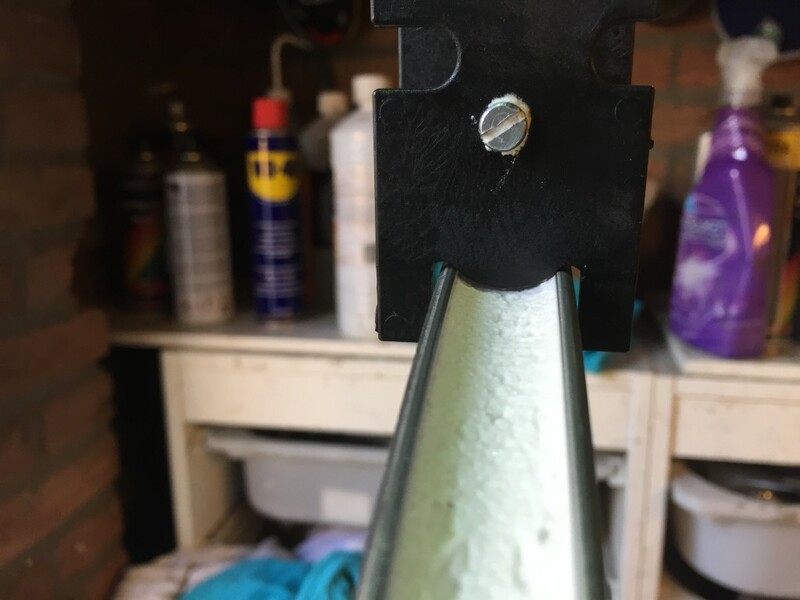 Epoxy because you have more time to work with it compared with polyester resin. The micro balloons are very small hollow glass bolls.The mixture will be lighter because of the hollow glass balls, weight is an issue here. The filler material mixed in the epoxy resin will make the material like peanut butter, so it does not flow away after adding it to the rim. Here a link to the filler material I used for this project. And I build myself a mold to drive over the rim after adding the epoxy micro balloons, the mold is displayed below and used on a test rim. Getting this mold right was not easy. But after multiple tests and adjustments I got it into the right shape. 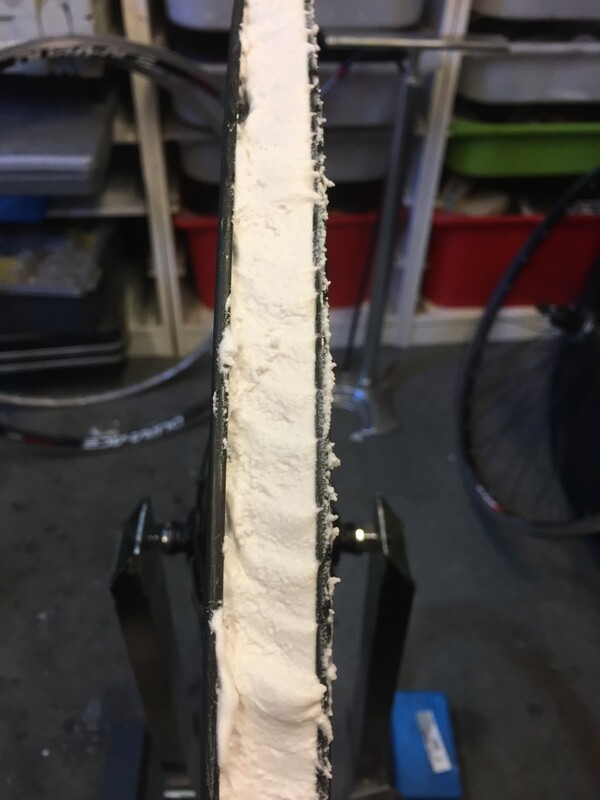 Below a picture how I tested the mold on an old clincher rim converted with the filler material to tubular. Adding the tube on it I could check if the tubular bed was formed properly.. Finally it was time to fill up the real stayer front wheel with the epoxy mixture. 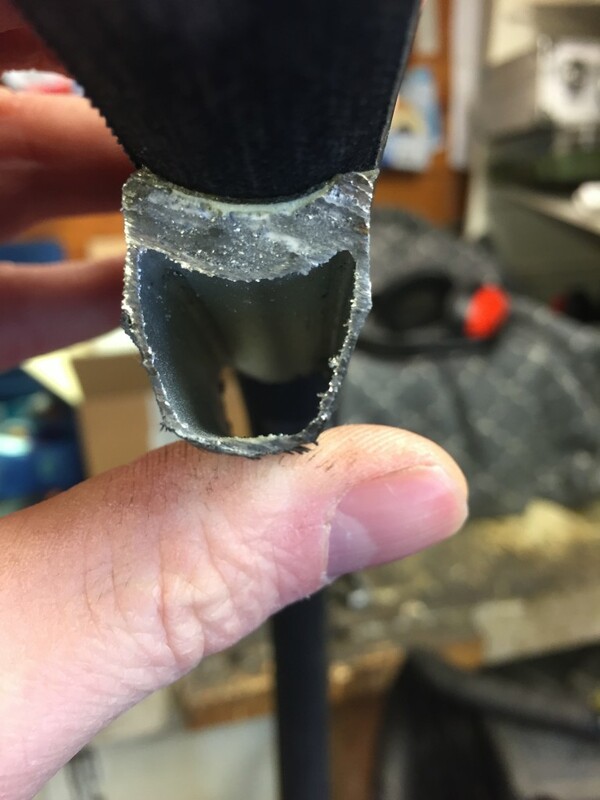 I made sure that the epoxy filler was pressed properly into the rim bed and there where no large air bubbles in the filler. The final result after sliding the mold over rim removing the excessive epoxy filler material. The epoxy material top layer is not 100% smooth, but this is not an issue because the tube rim glue will fill it up fine. The final result, very cool. Hope to test this wheel soon on the track, will let you know how the ride was and how the wheel handled.